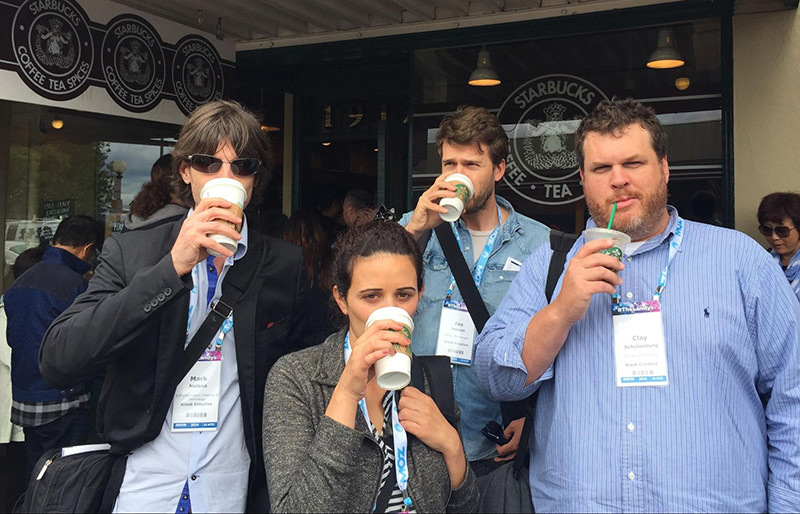 This month, the Kiosk Search Team took a trip to Seattle to get caffeinated in the home of Starbucks, and attend the SMX Advanced Conference. The conference is billed as a fast-paced event aimed at experienced search marketers, covering SEO, SEM, Google Analytics and more. Janes of Digital offered women working in search an opportunity to network, and address issues specific to women in the workplace. Attendees were reminded that while detail is critical in the world of search, women can often be perfectionists to the point of failing to appreciate the good work they’re getting done. Mad Scientists of Paid Search featured search analytics insights unearthed by some self-proclaimed experimental search scientists. One take-away was the reality that minimum bids are increasing on Google real estate. While Google may talk a lot of about quality score, marketers may need to be savvy about the rising cost of search and bid accordingly. In a session entitled “Getting Creative with Ad Copy and Testing,” aimClear search evangelist Marty Weintraub talked about the pitfalls of over-optimizing ad copy for quality score and neglecting the creative side of search copy. The result? All relevant ads returned start to look the same. A great reminder to keep creativity in mind for effective campaigns. In a session on retargeting, we looked at ways of optimizing remarketing campaigns, factoring in search intent and interest, and the importance of timing. Seasonality can be key, when remarketing to your audience, particularly around the holidays, and optimization is an ongoing process, for example, as you start excluding visitors based on short visit times. A final highlight? The Kiosk search crew visiting the original Starbucks location for a coffee fix. Having worked on SEM to drive online enrollment for Arizona State University’s Starbucks College Achievement Plan, no Kiosk trip to Seattle would have been complete without it.